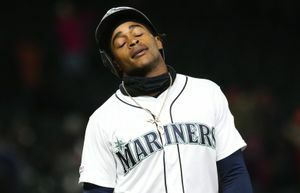 Seattle second baseman was at his sister's funeral in Venezuela when he said he would hit at least 20 home runs this season. It was the final promise Jose Lopez made to the eldest sister who’d helped raise him in her home. His sister, Enzy, had taken Lopez in to live with her when he was 10, easing pressure for his mother, who was raising some of his half-dozen other siblings in the Venezuelan town of Anzoategui. Though they all lived close together and Lopez saw his mother and family every day, it was Enzy who would talk to him at night about his dreams for the future. Enzy was the one who helped him with his schoolwork. Who counseled him about the girls he wanted to date. And who walked Lopez through figuring out whether he wanted to be a soccer player or baseball player. 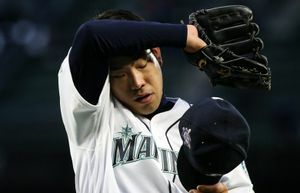 “She told me, whatever you do, just be happy,” the Mariners second baseman said. That he did, choosing a baseball career he loves and that has provided millions of dollars toward a better life. And so, the final time he saw Enzy back in June, standing at her funeral after the 36-year-old mother of four had been struck down by cancer, Lopez thanked her for all she’d done and made a promise. It was no easy promise for a player who’d never hit more than 17 home runs and was off to the worst offensive start of his career. His best friend, Luis Rengel, was by Lopez’s side at the funeral. Rengel had also spent time living with Lopez and his sister at her home and felt a special bond with the two of them. Not only has Lopez kept the promise, he did it with a month to play. Rengel had followed his nightly progress and was the first to congratulate Lopez, via text message, after Lopez hit No. 20 on Aug. 29 against Kansas City Royals reliever Roman Colon at Safeco Field. “He told me, ‘You did it!’ ” Lopez said. And Lopez has kept doing it, now at 24 home runs and — with 91 runs batted in — seeking his first 100-RBI season as well. Those are numbers the Mariners have long envisioned and are fueling internal discussion about whether they should keep Lopez, still only 25, as a power-hitting second baseman, or shift him to a corner infield spot — most likely at third with the expected departure of Adrian Beltre. Lopez’s glove isn’t as flashy as his bat, leading to speculation the team could also try to capitalize on his gaudy home run and RBI numbers by trading him for a hefty return. The day Lopez left for the funeral on June 18, he was hitting .248, with a .278 on-base percentage and a .421 slugging percentage for an on-base-plus-slugging percentage of .699. Since his June 25 return, he’s hit .281 with a .316 on-base percentage and slugged .505 for an OPS of .821. Lopez doesn’t want to make excuses for his poor first half, especially the months of April and May. But he was struggling, he said, to hold it together. Only two years earlier, his brother, Gabriel, had been killed in a motorcycle crash in Venezuela while the Mariners were playing a June series in Chicago. After hearing the news by telephone, knowing he couldn’t make it in time for the funeral, Lopez stayed with the team. But the death ate away at him, and his season went downhill. This year, he battled those same emotions, knowing that his sister — who had fought cancer for several years — didn’t have much time left. He’d talk to Enzy on the phone twice a week, but she was often too weak to reply. Lopez got a call from his parents on June 17, before a game in San Diego, telling him to hurry to Venezuela to say his final goodbyes. He tried to get a flight, but was told he’d have to wait until morning, so he played that night and hit a home run. His sister died at 1 a.m., just hours before Lopez’s flight. This time, though, unlike his brother’s death, he chose to be with his family. It wasn’t easy, but gave him some closure he’d missed two years earlier. Lopez spent his days helping Enzy’s husband and their children, two boys and two girls, ages 18, 16, 15 and 11, through their grief. It was during this time the idea of promising the 20-homer milestone to his sister took shape. Lopez had reflected back on his first year of winter ball in Venezuela, at age 18, when he went 0 for 9 in his first two games. Lopez had been so excited to be back playing in his homeland, only to find himself getting lambasted on local sports-talk radio. Lopez left on a road trip the next day and went 4 for 4. He had two more hits the following day. When his team returned home, he gave his sister the ball from his first hit. When Lopez first returned from Venezuela, he did early hitting work with coach Alan Cockrell, focusing on hitting the ball the other way to center and right field. Though most of his home runs are pulled to left, Lopez has tried to lift his other numbers by spraying the ball around more. Lopez is proudest of how he’s been able to hit throughout the order, versatility honed his past two years of winter ball. Though most defensive metrics show his range at second to be average at best, he plans to work on that this winter. After that, he’ll play wherever the team needs him. Mariners performance coach Steve Hecht, who helps players with the mental side of baseball, said Lopez has done his best to leave things behind when he takes the field. Hecht knows it isn’t all fun and games for Lopez. But he feels the second baseman’s humorous side is genuine. That he takes a lighthearted approach to situations that would frustrate other players — like making a self-deprecating quip when his bat gets shattered by a pitcher. Lopez admits that nothing could fully prepare him for what he’s gone through for the second time in two years. It helped that his wife, Katerine, returned with their 2-year-old son, Jose, to Seattle to be with him in late July, after spending a month in Venezuela tending to the family and its needs. But some days are tougher than others for Lopez, who went 0 for 5 his first game back after the funeral. He had a talk with himself afterward, one he reminds himself of when things aren’t going so well.